I love Hotel Chocolat – I’ve toured the factory (the review is somewhere on the blog I can’t find for some reason – will link later), eaten ALL DA CHOKLIT and enjoyed their hospitality on numerous occasions. I have been a long-time fan of the way they have brought fashion and design principles to chocolate. 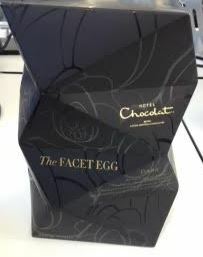 They have reimagined the egg shape and created something completely different, supported by expertly designed packaging. I should mention, this year’s design theme belongs on a silk scarf worn by only the most fashionable ladies. I absolutely think you could get away with it as an evergreen design. The egg itself is just an egg. 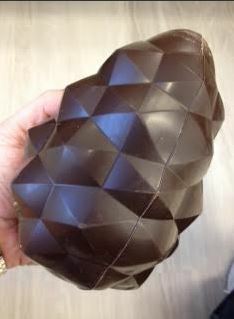 Hotel Chocolat have eschewed the traditional filled egg with one that stands alone – a cathedral to the chocolate on its own. As such, I think it would have justified origin chocolate like their own Rabot Estate, Madagascar or Ecuador or Vietnam for the dark. The egg is a standalone things of visual beauty – it could have been made a thing of outstanding taste too. 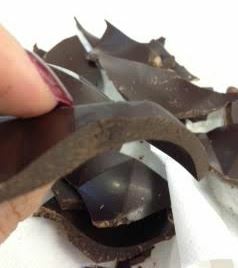 It’s a slightly nutty dark chocolate that reminds me of West African origin beans. Shame as it is a thing of beauty! Perhaps that would have been a step too far for many Hotel Chocolat shoppers. 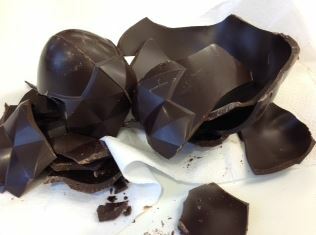 There already is a filled egg in the Rabot 1745 range made with origin chocolate and the milk as well as the dark as god sturdy staple chocolates. A girl can dream though, can’t she?